Veterinary technicians provide professional technical support to veterinarians, biomedical researchers and other scientists. They also care for hospitalized patients; assist the doctor in surgery; perform physical exams, lab work and technical procedures (blood draws, IV placement); take health histories and X-rays; induce and monitor anesthesia; provide client education; and perform reception duties. 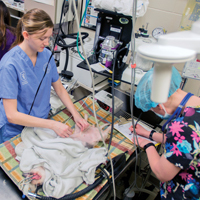 At Kirkwood, veterinary technicians work with a variety of animals including dogs, cats, horses, cows, pigs, sheep, birds, snakes, guinea pigs, hamsters and rats. A strong background in biological sciences is needed for this program. 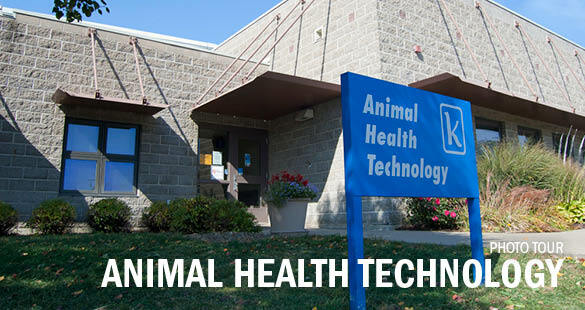 This program is accredited by the AVMA (American Veterinary Medical Association) Committee on Veterinary Technician Education and Activities (CVTEA). For more information, go to www.avma.org.